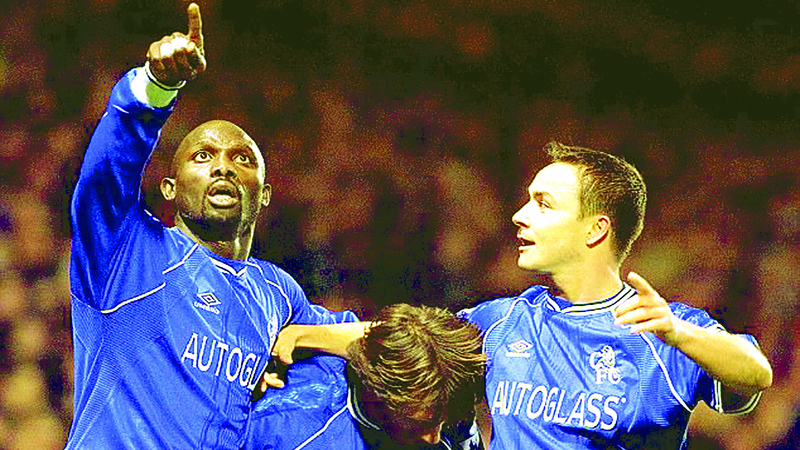 Weah played for Chelsea on loan in 2000 and also had a short spell with Manchester City. Those were the words of former World Footballer of the Year award winner, George Manneh Opong Weah, as he began the journey of being the 25th president of Liberia yesterday. 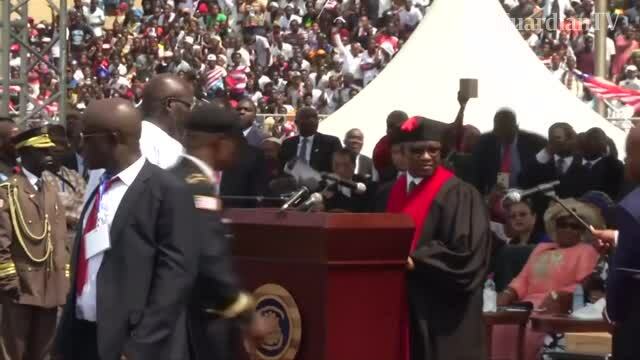 Dressed in all white, the new leader stood at the podium amid tens of thousands of cheering Liberians, taking the oath of office yesterday afternoon. In the last 13 years, Weah has been building himself politically by using his football icon status as the launch pad. His swearing-in yesterday was a landmark moment as the troubled country’s first peaceful democratic transition since 1944. The ceremony was held at the Samuel Kanyon Doe Stadium near the capital, Monrovia, with heads of state from various African countries in attendance along with friends and former colleagues from his football years. Weah challenged his countrymen and women to always use his poor but humble life beginning as yardstick at every point in time. Having failed to become president when he first tried in 2005, Weah was the overwhelming winner this time, taking more than 60 per cent of the vote. The people clambered into every space to catch a glimpse of him on his many speaking engagements in the build up to yesterday’s swearing in ceremony in Moronvia. They cheered him fervidly. Known as King George to his countrymen, Weah, now aged 51, emerged from Liberia’s slums to become a superstar footballer in the 1990s, and has leveraged his status as a revered figure among young people in his second run for the presidency, beating incumbent Vice-President Joseph Boakai in the November 7 runoff. It was the result of 12 years he spent seeking to build political credibility to match his huge popularity. Weah was the first African player to win both FIFA’s World Player of the Year trophy and the Ballon d’Or in 1995. That was the same year he became the European Footballer of the Year as well as African Football of the Year. Weah was largely absent from Liberia during the 1989-2003 civil war period, playing for a string of top-flight European teams including PSG and AC Milan. 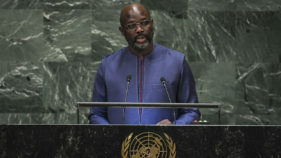 After running unsuccessfully for the presidency in 2005, when he lost to Ellen Johnson Sirleaf, Weah decided to pursue his political agenda assiduously by taking a try at the senate in 2014. He got it. It was an apparatus he needed to gain experience. Weah put education and job creation at the centre of his platform during the campaign, making him the best favourite of the people. He kicked a ball in the dust whenever he could, played for local teams before going on to the neighbouring Ivory Coast, where he was recommended to Monaco in 1988, falling under the managership of Arsene Wenger. 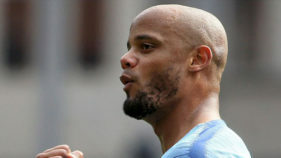 He later played on loan for Chelsea, where he won the FA Cup in 2000. In 1995, Weah was named the FIFA Best Footballer of the year. The same year, he was named Europe best footballer as well as African best footballer of the year, making him the only African to win the honour. “Nobody ever thought I would win the Ballon d’Or,’ Weah said of his recognition during the week. ‘So I am confident that we can make Liberia a better place. Nothing is impossible. From Monaco in 1988, Weah’s football career began to blossom. From there, he went to Paris Saint-Germain before joining AC Milan and winning Serie A in 1996. By the time he arrived in England to make 18 appearances, the remarkable power and pace he allied to prodigious skill were on the decline. But it is Wenger who stands out in Weah’s mind. “He is my father,’ Weah says. ‘He looked after me like a son. He particularly helped me in two ways. “Do not forget how much racism there was back then. (While at Milan, Weah head-butted Porto’s Jorge ‘The Animal’ Costa in the tunnel for allegedly racially abusing him.) Arsene showed me concern, even love, to help me overcome those problems. Weah’s romance with football has not ended. All bumpy roads in Liberia seem to lead to football, from kids playing on the street to adult obsession with the game in Europe. His son, Timothy, signed a pro contract with Paris Saint-Germain (PSG) last July. Long before he joined the presidential race, Weah had ploughed some of his own money back into Liberian football. He also provided financial backing to Junior Professionals in his own community and bankrolled the national team —the Lone Stars. Weah also funded a school next to his boyhood house. In a land where more than eight out of every 10 people, many of them former child soldiers of a hellish war, barely exist on just a pound a day, President Weah is banking on support from his Jamaican wife Clar, his fellow country men and women, African leaders and the entire world to turn around Liberia.